Something that gamblers often don’t find out until it’s too late is that the casino payment options that they use can make a real difference. 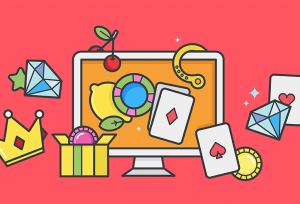 For some players, making a simple deposit into an online casino site can turn out to be very expensive, so it can all come down to the actual payment method you choose to make your deposits by. You may also find that when it comes to cashing out any winnings you are lucky enough to achieve you are going to be hit with all manner of fees and charges too. With all of the above in mind, read on for OnlineGamblingBible.com’s insights into the most commonly used casino deposit options, detailing what is available as well as the pros and cons of using each of them. Let’s start off by looking at debit cards. If you choose to use this payment method, which is linked directly to your bank account, then you will find that you are rarely hit with any fees or charges. Also, when it comes to making a withdrawal the majority of casinos will pay your winning amounts back to that same bank account linked up to your debit card. Do be aware, though, that prepaid debit cards are another matter when compared with traditional debit cards. This is because there will often be fees and/or charges made for topping up these prepaid types of cards, and you may well find some casinos have difficulties paying out winnings back to some of them, too. Credit cards are also going to see you being forced to pay some quite high fees and charges, for most casinos levy a small fee on such deposits. Also, your credit card issuer may also classify such payments to any form of gambling site as a cash advance fee, and as such using a credit card can turn out to be an expensive deposit option. Also known as web and e-wallets, online wallets have long been associated with the funding of online casino accounts. While most casinos will not charge you a fee for transferring money into your account using, for example, Neteller, PayPal or Skrill – the company who supplies you with such an account may levy a fee on yours when topping up those accounts and when withdrawing money from them too, so this is well worth keeping in mind and checking. Prepaid vouchers such as a Pay Safe Card voucher is yet another option that is available to players and gamblers in many different countries of the world. There will be no additional fees over the face value of such vouchers when you buy them from a retail outlet, so they could be an option for you to investigate. However, there is a bit of a drawback and it’s that there is currently no way that you can withdraw winnings back to any type of prepaid voucher, so you will have to have another withdrawal option in mind when you win. Various online casinos also support cryptocurrencies as payment and withdrawal methods. The most common acceptance methods at the moment are the ones that you have probably already heard about. The volatility of cryptocurrency may work for or against you the longer that you leave it between cashing out on any winnings sometimes, so it can be a little bit like another form of gambling. We recommend that you make frequent withdrawals into your chosen FIAT (i.e. traditional such as USD, GBP, AUD etc) currency as soon as you can unless you wish to be at the mercy of potentially wild fluctuations. To use cryptocurrencies you will also need to get yourself a crypto wallet. These are usually free and the good thing about crypto payment is that they are very low cost for transfers. Make sure that you keep a backup copy of your crypto keys to retain access, as it would be a real pity to lose access to your cash after a lucky night on the roulette table. I would always advise you against using the services of Western Union or Money Gram as a form of gambling or casino site payment option because the fees associated with sending money using these ways can be truly excessive, and can often take quite some time to hit your accounts, too. But at the end of the day, it will, of course, be up to you and you alone as to just which payment method you choose to use. This guide should hopefully help you to decide which method might be best suited for your needs. Have fun playing.